CAPE CANAVERAL, Fla., Sept. 30, 2010 (GLOBE NEWSWIRE) — Video Display Corporation (Nasdaq:VIDE) announced today that its VDC Display Systems (VDC DS) subsidiary has successfully installed a new upgrade for the existing display system on the Visual Threat Recognition and Avoidance Trainer (VTRAT) devices to train U.S. Air Force, Air Force Reserve, and Air National Guard crewmembers to recognize and respond to anti-aircraft threats. The upgrade utilizes VDC’s MarqueeHD SSL6200Ultra DLP® Projector with Solid State Light engine specifically developed to meet today’s support requirements offering over 50,000 operational maintenance free hours. Designed like a flight trainer, VTRAT creates views of ground threats–missiles and anti-aircraft artillery–as they would be seen through an aircraft window. The students training on VTRAT can see the environment on a high-resolution 67-inch display system, from the perspective of a certain duty position on the aircraft. The students hear the instructional text through a headset and interact with the trainer via a voice recognition system. 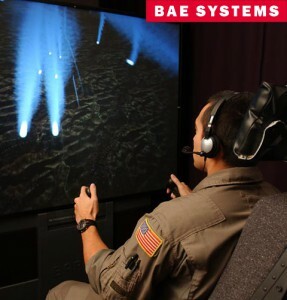 This installation follows significant and intense testing and evaluation of the new MarqueeHD SSL6200Ultra DLP® Projector with Solid State Light engine technology by VDC DS, BAE Systems, and the U.S. Air Force. The delivered projectors are replacing older CRT type projectors currently installed in the fielded VTRAT simulators. Key features of the new projector include: No consumable lamps, LED illumination, MTBF in excess of 50,000 hours, high color stability, excellent color saturation, low heat generation, low power consumption, no orientation limitations, light weight, numerous lens options, guaranteed long production life and full dedicated product support. The controllable Infrared was a key option in selecting these new projectors for ‘night vision training’. 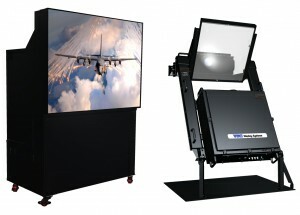 Future deliveries of the new projection systems for the U.S. Air Force are expected to continue through at least 2014.